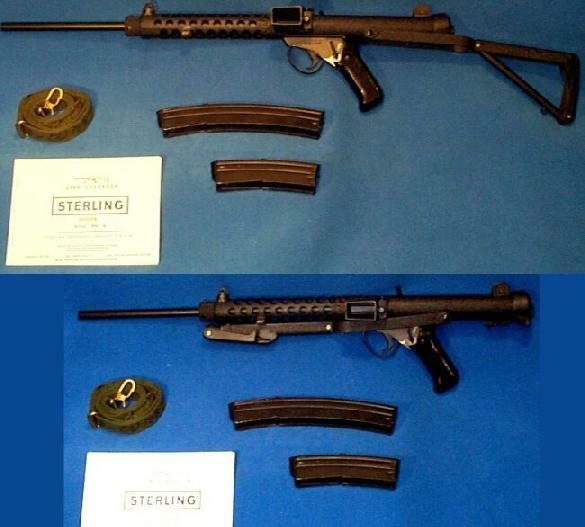 The STERLING ARMAMENTS carbine is a civilian, semi-auto only version of the L2 series submachineguns. It features the same folding stock, but has a longer barrel, and fires from a closed bolt: SMG parts will not fit this weapon. A police version of this carbine is available, with half the barrel lenght of the civilian version.